SLO’s newest and hottest 21+ nightclub is the perfect way to let loose for the night. Missed EDM DJ Flosstradamus at ASI’s Spring Stampede in 2017? Now’s your chance to see him again. Support a Cal Poly student-run production company, Azolle Productions, by attending their art show, which will feature local art, libations, and an open mic. New theater company Spork in the Road will debut their inaugural play this weekend. Get ready for an interactive component — the audience chooses the fate of the characters in the play. According to John Hopkins Medicine, amyotrophic lateral sclerosis (ALS) “affects as many as 30,000 people in the United States, with 5,000 new cases diagnosed each year.” The proceeds from the walk go toward finding a cure for this progressive neurodegenerative disease. Celebrate the tradition of vinyl records at Record Store Day celebrations across San Luis Obispo. There will be raffle prizes, guest DJs, food, numerous record markdowns, and limited edition releases. What more can you ask for than local vendors, live music, and food? Open to all ages, this free event will include interactive workshops at a cool venue. A donation jar will also be available to help improve and sustain future markets. 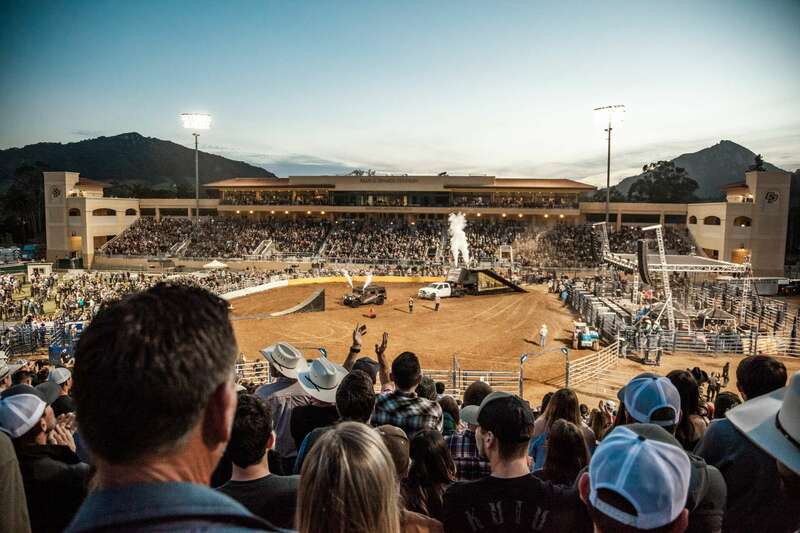 Witness a Cal Poly staple and enjoy the experience of the Cal Poly collegiate rodeo. Come for the fun and stay for a concert appearance by country music star Casey Donahew. The New Zealand psychedelic-rock band will make a pit stop in San Luis Obispo before heading to the desert for Coachella on Sunday. Doors open at 7:30 p.m. and the show starts at 8 p.m. Doors 7:30 p.m., show starts 8 p.m.
Start your Sunday with a non-competitive 5k run/walk with a colorful twist. The audience will cover runners in colored dust during the run. Get into the spring spirit with an Easter egg hunt, arts and crafts, egg dyeing, bounce house, and an opportunity to snap a photo with the Easter Bunny himself! Snacks and refreshments will be provided. Original Womxn’s Narratives (OWN) is an annual theatrical production presented by the Cal Poly Gender Equity Center. The show features, centers, and celebrates the stories of our Cal Poly and San Luis Obispo community members who have experienced life as a womxn in body, mind, and/or spirit, be that in past, present, future, and/or fluid.